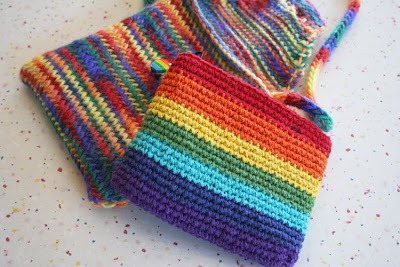 I'm finally ready to share with you the culmination of the collaborative effort between Elizabeth and I on her rainbow bag. This project ended up taking a bit longer than I anticipated, although the adorable rainbow-ness made it worth the trouble in the end. 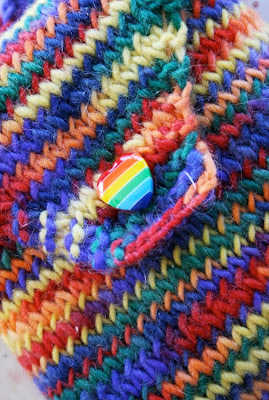 In moving my yarn stash to it's new home, Elizabeth and I discovered this beautiful rainbow yarn, purchased way back when. Elizabeth enjoyed this yarn immensely in her early crocheting days so we put our heads together to think of a good project for the rest of this happy yarn. 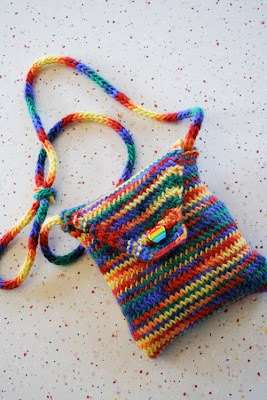 Elizabeth's rainbow bag was born. 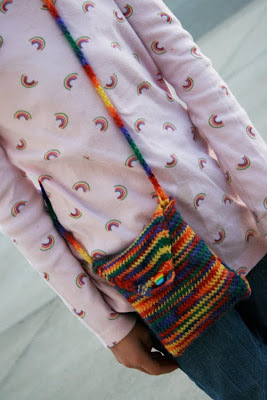 Intended to hold a few of her necessary items for tooling around London, like this rainbow change purse, she loved the matchy-matchy, yet completely different way the rainbow bags went together. 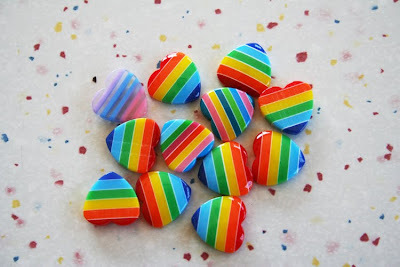 Of course, we had to spend some time tooling around etsy looking for the perfect button. 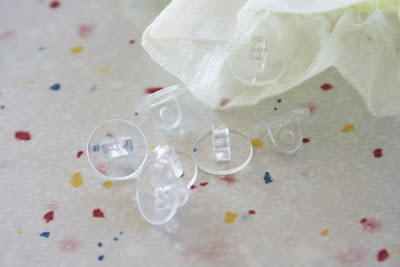 Next we were on the hunt for button shanks, which I'd never heard of until this little project. What do you know?! Etsy has those too! 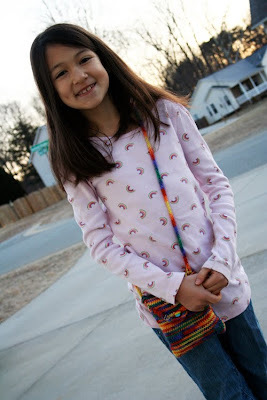 We got our buttons shanked, and Elizabeth's rainbow bag is finally complete and ready to travel the world. Now...what to do with all those non-buttons and button shanks? That is such a cute little bag and looks perfect for your upcoming trip! I love that bag! Fantastic! Darling bag! I bet you'll come up w/ something adorable to do w/ those buttons. Its so pretty...I love it! dang she is cute. what a sweetheart. the bag is just gorgeous! Cute bag, cute girl! She did a fabulous job.